For one reason or another television audiences love to watch shows that portray lifestyles that they themselves will never get the opportunity to be a part of. Whether it is being a mobster, undercover FBI agent or drug kingpin, pick any dangerous lifestyle and there will be a show that explores this lifestyle and gets millions of viewers each week. While most of these shows gain their following because they explore dangerous lifestyles, perhaps there is a more scary lifestyle that shows tend to avoid, and in a society that is becoming more and more sensitive to how people interact with one other, Curb Your Enthusiasm’s portrayal of a lifestyle that does not observe social norms may be the scariest lifestyle of them all. For those of you who are not familiar with the show, Curb Your Enthusiasm stars Seinfeld creator, Larry David, who plays a fictional version of himself in the show. However, the character of David is not like the typical person that you would run into in your everyday encounters, no David completely disregards all social norms and conventions. By this, I do not mean that he is a serial killer or psychopath, he is more or less against the mundane rules set up by our society like feeling the necessity to talk to a friend that he sees randomly on the street if he does not feel like talking. While at face value, this seems like an absurdity dry show of just some random rich guy living his life, the show may very well be not only an escape into a lifestyle you never knew you wanted but also one of the greatest comments on our society and the issues within it. 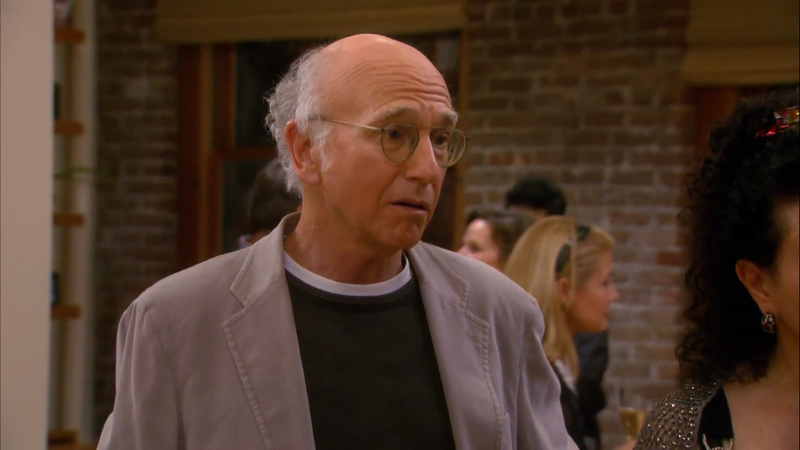 In order to really understand Curb Your Enthusiasm one must understand who Larry David is. David was a comedian in the 80’s who never really got all that popular but was a member of a few good writing staffs including Saturday Night Live. It was not until the late 80’s when he teamed up with Jerry Seinfeld to create the show Seinfeld, where he found his real success. For those familiar with Seinfeld, Jerry Seinfeld plays a fictional version of himself and while David does not act in the show, the character of George Costanza is a fictional version of himself. 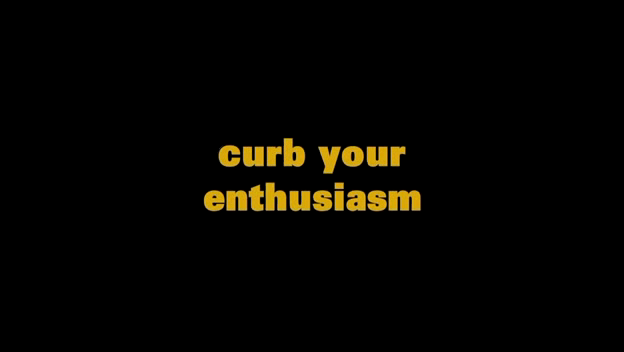 As a result one could suggest that Curb Your Enthusiasm is almost like a Seinfeld Spin off where George Costanza is older and the main character. 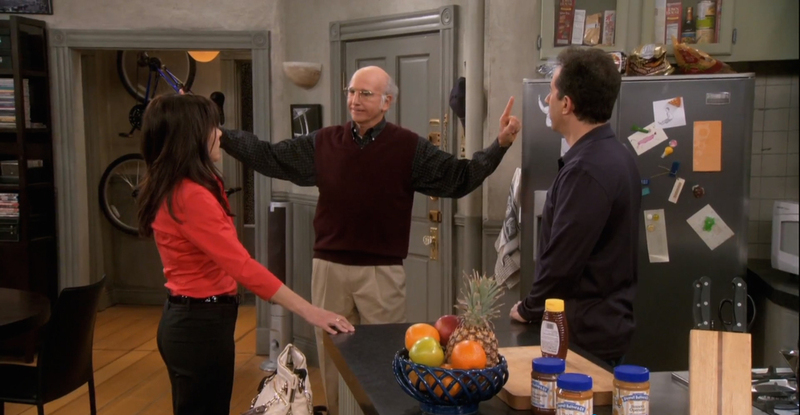 While George did not always do the most ethical things and was often out for himself, he still had some shred of decency that either compelled him to do the right thing or at least made him question it, in Curb Your Enthusiasm Larry does not possess this element and operates on his own terms completely. 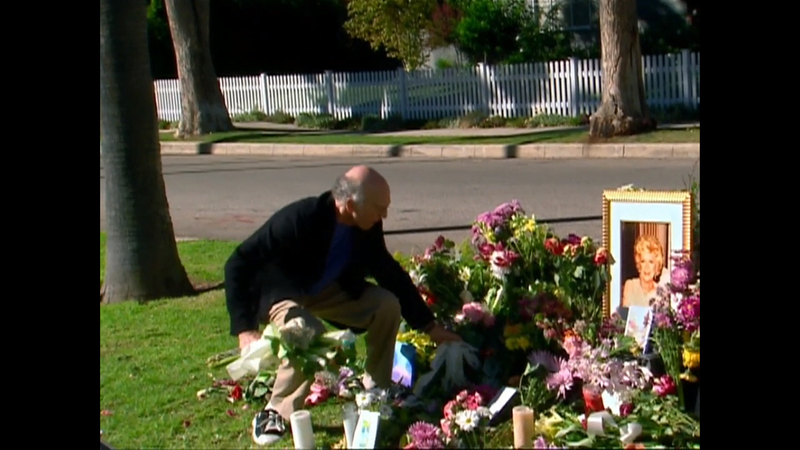 While someone that is described as unapologetic, crass, and self-centered is often considered by most a monster, the reason Curb Your Enthusiasm is such a marvelous show is because it makes you not only sympathize with David but also makes him someone you idolize and aspire to be. Constantly in life we are torn between whether to do the right thing that is expected of us or do the thing that will make us the happiest. More often than not, we choose the former, and add an unnecessary amount of stress to our life’s to make sure that everyone we interact with is comfortable. Many of us day dream about one day breaking this social contract and actually telling our boss or longtime friend what we really think about them but we will never end up doing it because well, that’s just not polite. This is where David is given his chance to shine and be something that we never could. For example, in the episode “Palestinian Chicken,” Larry dons the title of social assassin as his friends hire him to resolve social situations that need to be addressed but everyone is afraid to do. One of these so-called missions occurs when Ron, one of David’s friends, hires him to tell Ron’s wife that when she says “LOL” in real life it is not funny and annoying. While this seems like an easy solution that Ron should be able to fix on his own, how many people would actually solve this issue by telling their spouse they are annoying? Many would just let it go and bottle up their anger and make their life’s more difficult, but not David, instead he lets them know the truth and moves on with their day. This sense of doing what ever David wants without second-guessing it is not only contained to a few episodes but is what the show revolves around. In the very next episode, “The Smiley Face.” David gets in an argument with his assistant because he did not say, “I’m sorry” when he found out her father died two years ago because in his opinion the “I’m sorry window” closed. After getting hit with this rapid repetition of watching someone just say to people what is really going through their head and not adhering to the rules of society, David starts to become someone we want to be because he lives his life the way that he wants to and the only stress that he really has comes from others who do not share his view on the world. In a society that is inherently concerned with the feelings of others and being politically correct Curb Your Enthusiasm polarizes the field and makes one question what truly is the correct way to interact with one another. While it is apparent that David does take some situations a bit too far, like stealing flowers from a memorial to give to his wife as a gift, he does present many good points throughout the series that makes one wish they had the courage to say and do the logical thing instead of the accepted thing. Nevertheless, the way Curb Your Enthusiasm explores social constructs provides us with a great way to look at how the norms of society are in today’s world and why we all need the help of the Social Assassin. The real question is, will Curb Your Enthusiasm ever return for a 9th season? Thank you for visiting Celluloid Cinema. Please leave your thoughts in the polls and comments below. Do you think Curb Your Enthusiasm will return for a 9th season?